MVC 5 is the newest update to the popular Microsoft technology that enables you to build dynamic, data-driven websites. The ASP.NET MVC 5 Framework is the latest evolution of Microsoft ASP.NET web platform. It provides a high-productivity programming model that promotes cleaner code architecture, test-driven development, and powerful extensibility, combined with all the benefits of ASP.NET. 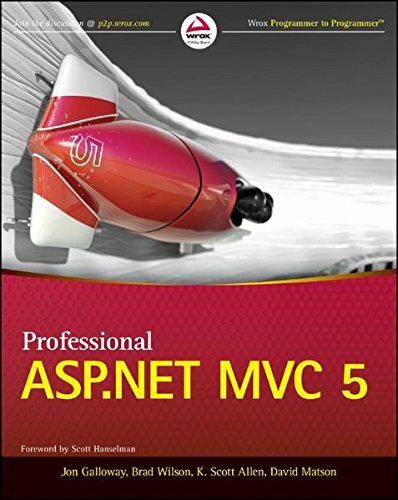 Professional ASP.NET MVC 5 shows you step-by-step how to use MVC concept within your project with a lot of practical examples. It describes controllers, views, and models very efficiently. This guide shows you step-by-step techniques of using MVC to best advantage, with plenty of practical tutorials to illustrate the concepts. It covers controllers, views, and models; forms and HTML helpers; data annotation and validation; membership, authorization, and security. MVC 5, the latest version of MVC, adds sophisticated features such as single page applications, mobile optimization, and adaptive rendering. 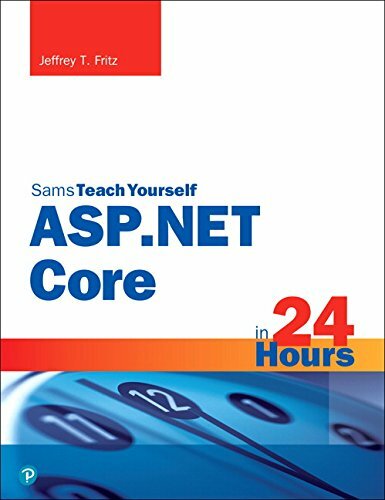 ASP.NET Core 1.0 in 24 Hours teach you how to build complete, professional-quality web solutions with ASP.NET Core 1.0. Using this books straightforward, step-by-step approach, you'll master the entire process, from site design through data collection, user management through debugging and deployment. Using a straightforward, step by step approach, each lesson builds upon the previous one, allowing you to learn the essentials of the new ASP.NET Core from the ground up. 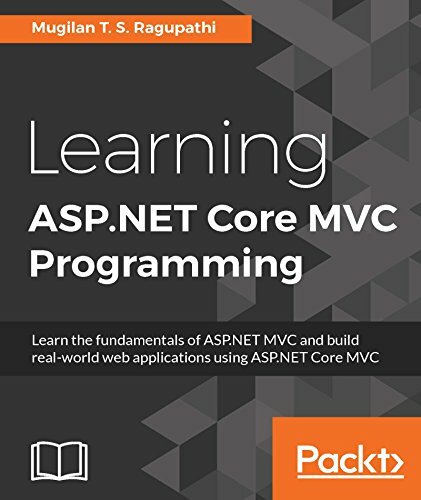 This book includes lessons, tips, and tricks that show you how to get the most of the new ASP.NET Core on Windows, Mac, and Linux with and without the aid of Microsoft Visual Studio. You will be able to get started with any personal computer and build your first web application with ASP.NET Core. This book contains questions and answers, quizzes, and exercises at the end of each chapter help you to test your knowledge. 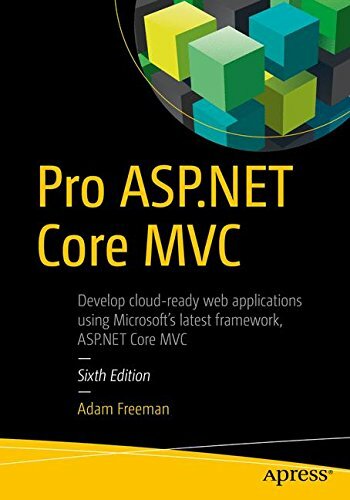 This book covers the major new features of ASP.NET Core. 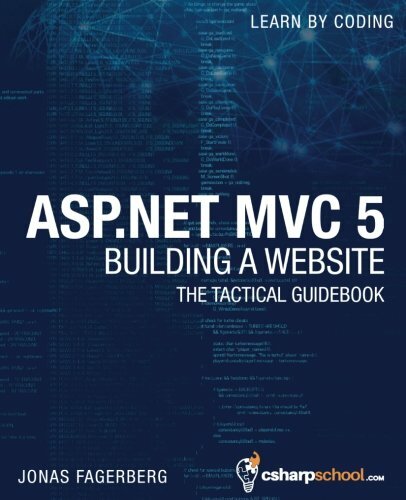 This book is primarily aimed at developers who have some prior experience with MVC 5 and are proficient in C#, since the language won't be explained in any detail. You will be able to create a "real world" code-first database using Entity Framework. You will be able to add and modify models, views, and controllers to perform CRUD operations against the database. You will learn client-side and server-side validation. Implementing security with ASP.NET Identity (authentication, authorization, and roles). You will be able to style the user interfaces using CSS3 and Bootstrap. You will be able how to implement product subscription scenarios with registration codes. Learn how to create an alternate way to login to the application. You will be able to implement password reset functionality. 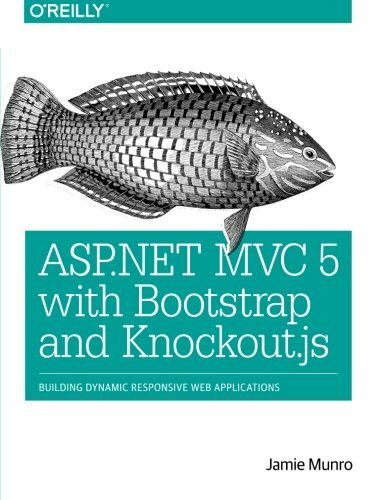 You will learn how to build well-organized, easy-to-maintain web applications by letting ASP.NET MVC 5, Bootstrap, and Knockout.js do the heavy lifting. How to use ASP.NET MVC 5 to build server-side web applications, interact with a database, and dynamically render HTML. You will be able to create responsive views with Bootstrap that render on a variety of modern devices; you may never code with CSS again. How to add Knockout.js to enhance responsive web design with snappy client-side interactions driven by your server-side web application. Pro ASP.NET Core MVC explains how to get the most features from ASP.NET Core MVC. 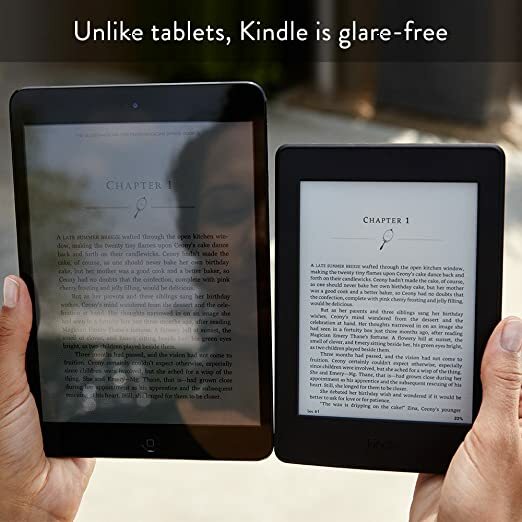 The book starts with the nuts-and-bolts and shows you everything through to advanced features, going in-depth to give you the knowledge you need. Get a solid architectural understanding of ASP.NET Core MVC. You will explore the entire ASP.NET MVC Framework as a cohesive whole. How MVC and test-driven development work in action. Learn what's new in ASP.NET Core MVC and how best to apply these new features to your own work. You will be able to see how to create RESTful web services and Single Page Applications. How to build on your existing knowledge of previous MVC releases to get up and running with the new programming model quickly and effectively. Learning ASP.NET Core MVC Programming is uniquely designed for developers who are looking to transit their skills into the .NET development field. This book is for developers who want to learn building web applications using ASP.NET Core, developers who want to make a career building web applications using Microsoft technology, and developers who are working in Ruby on Rails or other web frameworks and want to learn ASP.NET Core MVC. You will learn the basic concepts of ASP.NET MVC and build a new static web page using HTML, CSS, and jQuery. Able to set up a development environment and run a sample application using the template. Create a Controller with action methods. You will learn how to build a view using several features of the Razor View engine. Construct a Model for ASP.NET Core MVC application. You will be able to Devise a custom mechanism to provide maximum flexibility to your application through routing. You will learn how to validate the user input on the client side using jQuery. Using Bootstrap in your applications. You will be able to explore a new configuration and deployment scenario step by step guide to deploying ASP.NET Core web application in Linux.